Ducati India has expanded its Scrambler family in India with the launch of the bigger, more powerful Scrambler 1100. The Ducati Scrambler 1100 is the flagship of the Scrambler family globally and made broke cover at the 2017 Milan Motor Show. 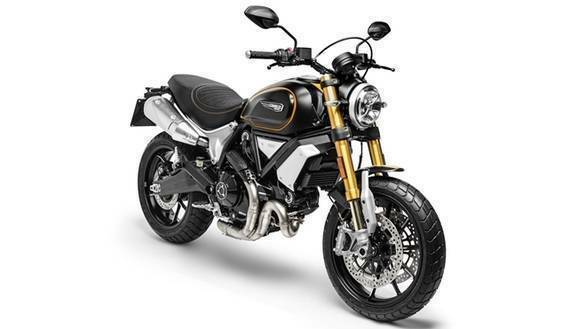 Ducati India has launched three versions of the bike in India  the Scrambler 1100 priced at Rs 10.91 lakh, the Scrambler 1100 Special priced at Rs 11.12 lakh and the Scrambler 1100 Sport priced at Rs 11.42 lakh, all prices ex-showroom. To help distinguish it from the smaller Scrambler family, the Scrambler 1100 gets a differently styled headlamp unit, twin underseat exhausts and a slightly differently designed fuel tank, and the exhausts particularly make for a more muscular stance. The standard and Special versions use 45mm upside down Marzocchi forks upfront and an adjustable KYB monoshock at the rear, while the Sport, as the name suggests, is positioned at the sportiest of the lot and comes equipped with higher-specced 48mm Ohlins upside down forks at the front and a fully-adjustable Ohlins monoshock at the rear. All three bikes are shod with 120/80 R18 Pirelli MT60 tyres upfront while the rear is a smaller, 17-inch rim shod with 180/55 R17 Pirelli MT60 tyre. The biggest distinction to the smaller Scramblers of course is the 1079cc V-twin engine that produces 86PS and 88Nm, a significant increase of 12PS and 11Nm over the smaller, 803cc V-twin engine Scrambler. Importantly, the Scrambler 1100 also gets a far more comprehensive electronics suite and comes equipped with three riding modes  Active, Journey and City  apart from traction control and cornering ABS. It also gets a revised instrument cluster which sports a secondary display in addition to the round one seen on the smaller Scramblers. 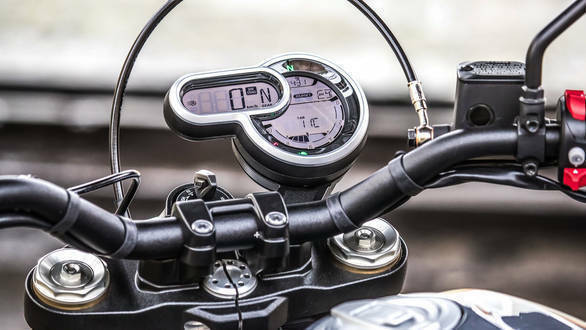 The Scrambler 1100's instrument cluster thus offers more information and integrates read outs for the riding modes, ABS and traction levels. Braking duties are taken care of by a radially mounted 4-piston Brembo M4-32B caliper that grips twin 320mm discs (front) and a 245mm disc at the rear. 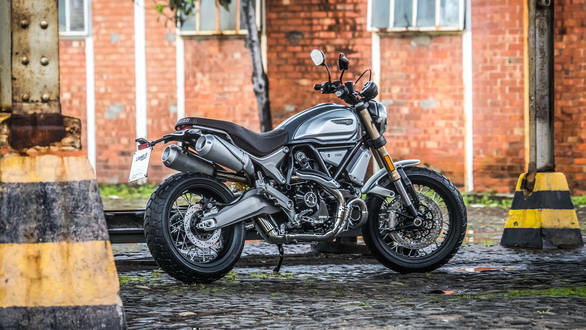 The Scrambler 1100 is on sale at all Ducati dealerships across the country. OVERDRIVE will be riding the Ducati Scrambler 1100 very soon, stay tuned as we will be bring you our first ride review on Thursday, August 30.